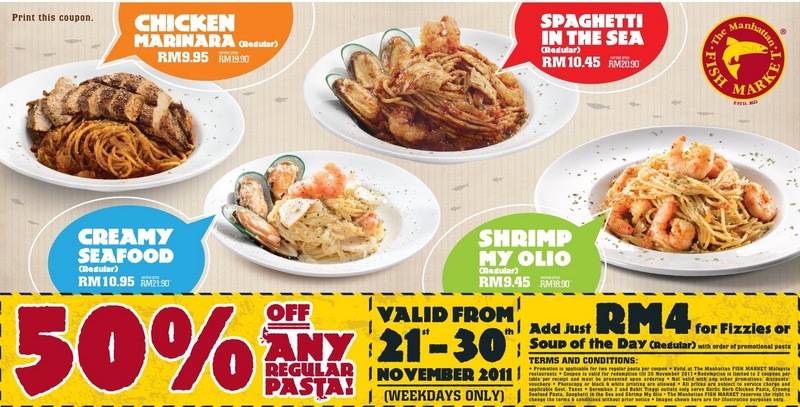 The Manhattan FISH MARKET: Pasta at Half Price! Here's something special for you next week! 50% OFF any regular pasta! Add just RM4 for Soup of the Day (Regular) OR Fizzies! [IMPORTANT] : PRINT COUPON TO ENJOY PROMOTION! Applicable for 2 REGULAR Pasta per coupon. Share this great offer with your friends yeah!